If you are selling a junk car in the Los Angeles and surrounding areas, sell to a reputable company that’s been buying cars for over 60 years. A company that is committed to recycling and caring for the environment. We have an excellent reputation, and have maintained that reputation since 1951. We are trustworthy, fast, and you won’t need to shop all over town for the best price for your car. 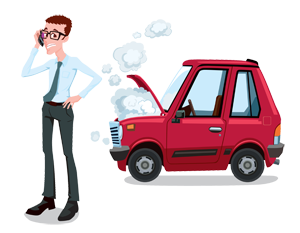 We’ll take care of everything necessary to completely transfer ownership of your car, so when it’s gone, you’re done with it. You don’t need to get your car to us, we’ll come get it. 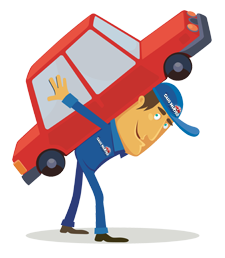 In some cases, we can pick up your car in as little as 30 minutes, depending on where the car is. We usually pick up cars in 2 hours or less. Imagine selling your junk car in less than two hours from now, and being paid on the spot! Assuming you have your paperwork, and the vehicle is in the condition you indicated, you will be paid on the spot when we pick it up. Get a Quote on Your Car Today! I’d Like to Use Your Toll-Free Number! I’d like to Use Your Online Quote Form!